The one-man orchestra, one-man ensemble, and one-man band content format has been the culmination of my years of self-taught and institutionalized experience in performance, instrument knowledge, theory skills, ear training skills, and mixing and mastering skills. It features hours of dedication of writing out all the necessary parts, then recording each instrument at a time before mixing them all together and mastering the track. Followed by video editing. This project consisted of a selection of my personal favourite soundtracks from the video game Destiny 2. I arranged the medley in a way that it would transition through soundtracks from the story line and its epic moments. Another focus of this project was to also acknowledge the use of minimal instruments such as a string quartet that lends to a beautiful sound and texture in an otherwise unforgiving and war-torn universe. The practical goal of this project was to recreate what is to me, a great example of an epic cinematic soundtrack and further experiment with orchestral instruments both in pre (color, timbre) and post-production (EQ, pitch correction, compression, etc.). One of the reasons why The Last of Us was so critically and publicly acclaimed for its story narrative experience was for its sparingly use of main and background music. Silence helped make this game more immersive and outlined the lonely and desperate tone of the game. With that, I picked a few theme from the video game that I felt was the best representation of the game's overall tone. I started it off with the one guitar, and as the medley goes on, it builds and picks up in dynamic; changing instruments and the overall timbre and color. It eventually reaches a climax with one of each of the solo instruments finally playing together, then dies down and ends with a cello and guitar duet of the song that Ellie sang during The Last of Us: Part II trailer. I kept the instrumentation to as minimal as possible to still the somber, empty tone of the game, but focusing on its more horrifying and powerful moments. I originally created this arrangement for a concert with Orbis Orchestra. After the concert, I decided to make it a challenge for myself by playing all the parts that were intended for capable musicians by myself. I also challenged myself to replicate the heavy emotional feeling that I experienced during my playthrough of Final Fantasy XV and express that through every instrument to the best of my ability. I received help from Vivid Vision who lent her angelic voice in "Song of the Stars". The arrangement goes through themes of the game's triumphant, casual, and tragic themes bookended by the final main theme "Somnus Ultima". The goal of making this entire project was to try and be as organic as possible and cut down on the amount of post-production required. This was also the first video to be sponsored by a local violin shop called "PJ Tan & Son Violin Shop" who provided me the right viola and cello for a dark and rich tone to use in this recording. Yoshiki of X Japan has been a big inspiration for me and my musical style since I discovered them in the early 2000s. I've always loved the band's integration of heavy driving symphonic rock with emotional and lyrical melodies that makes for a tremendous sound. I always enjoyed the concept of making lyrical songs more accessible, so I arranged and orchestrated their song "Born to Be Free" into an instrumental piece with cello, erhu, and guitar as the main melodical focus. The rhythm section is accompanied by a mix of rock and traditional Chinese instruments as well. The sanxian accompanying the heavy distortion guitar makes for a more aggressive attack and adds another dimension to the overall sound. Since I began to list myself as a composer, I've worked with many wonderfully talented people in short films, theatre, and commercials writing, arranging, and producing music. Put on by Workshop West Playwrights Theatre and written by award-winning Cree playwright Kenneth T. Williams, Cafe Daughter is a critically acclaimed story about a half Chinese half Cree girl growing up in Saskatchewan in the 60s to 70s, and her journey of discovering and acknowledging her Cree roots. In the play, I used Pro Tools to combine ambient sound both sourced and created via foley to simulate and balance the environment in surround sound outputting via 4.1 channeled speakers in QLabs. The music were both themed and incidental, and the theme consisted of Western, Traditional Chinese, and Indigenous instruments that played separately, then slowly joins together throughout the play in a symbolic moment. The ultimate main theme - also done in Pro Tools - is featured in the beginning and at the 2:00 mark of the video featuring Cello, Erhu, Hand Drum, and Juno award winning artist and starring actress Tiffany Ayalik. The sound required close collaboration with Cree elders, hand drummers, and singers to make the audio experience as true to the Cree culture as possible while. "Shawn's sound design definitely increased the tension in the show at key moments and certainly wasn't anything you'd hear on the radio today." It was a very enjoyable process composing for this film, as I got to utilize my love of video games and incorporate that in the most original way possible. The collaboration process was fantastic and working with all the cast and crews to get what they wanted out of the music side provided a great amount of inspiration for the final work. This is a concept trailer for a film made by a local Alpacalypse Production. The trailer tells of a lone character who has to survive by himself in the cold wild while facing a dangerous unknown threat. I scored to a raw cut on Pro Tools and set the video to a cinematic orchestral sound, but at the same time, sonically supporting the mystery created by the melody of those instruments with dark, unnatural incidental spooky sounds from virtual instrument patches, as well as cymbal scratches and other percussion sounds. At the same time, timing the music and sounds to key frames in the cut. This is a video in post-production by Alpacalypse Productions that features Elsa from Frozen dueling with Zuko from The Last Airbender. Musically, the goal was to take the memorable theme of Frozen and Airbender, but to change them and re-imagine them throughout the video, while returning to its original form in the climax of the video. This project was done on Cubase, and used western instruments such as piano, cello, brass, toms and padded strings that symbolized Elsa's side, and Traditional Chinese instruments such as Erhu, Gu Zheng, Sanxian, as well as sticks and Chinese drums that represented Zuko's side. Rather than featuring the character's theme separately, I mixed the themes together during their hand to hand combat moments and turned it around, such as playing motifs of Frozen on the traditional Chinese instruments and vise versa. Nu Kontrol was recorded and produced in Pro Tools, and was written because I wanted to go back to why I started doing music in the first place, because of my love for the electric guitar. This was the first instrumental guitar song I wrong after coming out of music school and I wanted to apply what I've learned into this new song. Taking the library in my head that was filled with information that I learned in school and combining it with the inspiration and the motivation that I got to do my own music again. I always wanted to try song writing in my native tongue. Writing in Chinese allowed for an expression that is harder for me to express in English. I wanted to those lyrics and express that vocally and support it with a strong power-ballad background instrumental. The song was produced in Pro Tools, and utilized Kontakt for the piano and other virtual instruments. The objective was to in general, create a song with deep and expressive lyrics that can be easily accessible to a general audience. This piece of music was written in a completely opposite way compared to Nu Kontrol. Midnight State of Mind is the most organic piece of music I have ever made. It was written in one sitting during midnight (hense the name). Recording began the following midnight and finished post-production early that morning with organically recorded acoustic instruments. Its inception was a continuous flow of ideas and inspirations with no regard or the slightest thought of musical theory. The Dark Clouds of Shangri-La was one of the short original pieces I composed during my days as a Composition Diploma student. It features traditional Chinese instruments with western instruments such as a lever harp, piano, string quartet, and various percussion instruments. 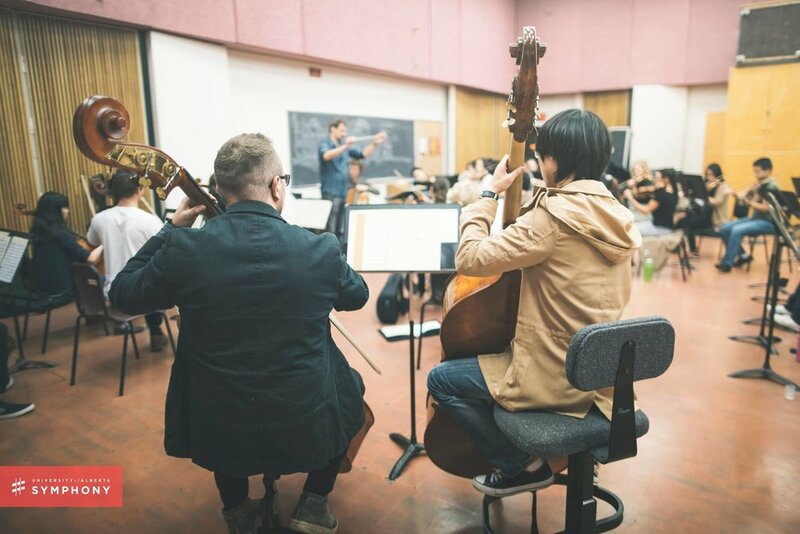 The piece takes a more modern approach to Traditional Chinese music, which was to use a more modern approach to melody writing and have themes and motifs inspired from both Traditional Chinese music and modern Chinese films. Working together with fellow musicians have always been a joy and great fun to be a part of. There's a certain camaraderie that happens when every musician is there trying to be the best the project as a whole can be. This song was produced on Logic Pro X, and was in collaboration with my friend Jimmy Chen from Surrey BC, Canada. Jimmy made and produced a track during a time when both of us was attending a music institution. He made a track that I always enjoyed jamming to during my practice sessions, so much that I decided to make it a collaborated original with my newly modified guitar at the time. Nicholas Yee and I are huge Studio Ghibli fans. Joe Hisaishi's amazing work in classics like My Neighbour Totoro and Princess Mononke are timeless and influences us heavily as musicians. We decided to arrange together a Studio Ghibli medley that transitions though many of its memorable themes in a cohesive way as a cello and classical guitar duet.